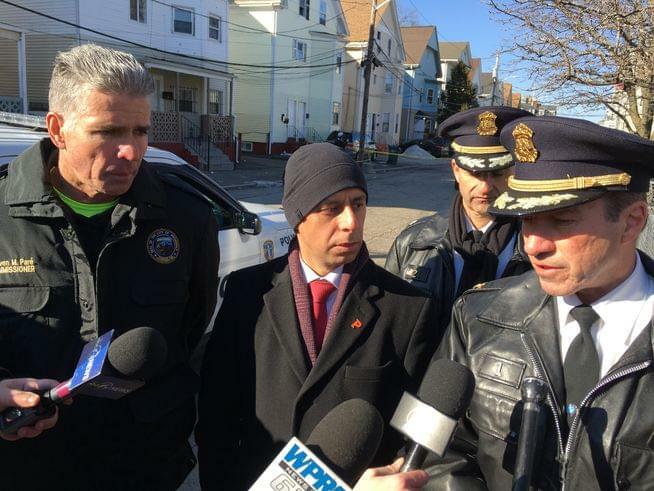 PROVIDENCE, R.I. (AP) – Providence police say three people are in custody following an overnight home invasion that led to an hours-long standoff and prompted an elementary school to stay closed. Chief Hugh Clements says the armed suspects forced their way into the home just after 1 a.m. Tuesday and held a man, a woman and an 8-year-old boy hostage. But a 22-year-old man also in the home escaped through a window and called police. Trained negotiators persuaded the suspects to release the woman at about 6:30 a.m., followed by the boy at around 8 a.m. The suspects surrendered peacefully at about 9 a.m.
Clements said it’s possible the intruders were looking for drugs and targeted the wrong house. The nearby Bailey Elementary School closed for the day.